Listen to Edison Jaquez’s interview on the WBGO Journal in its entirety here. 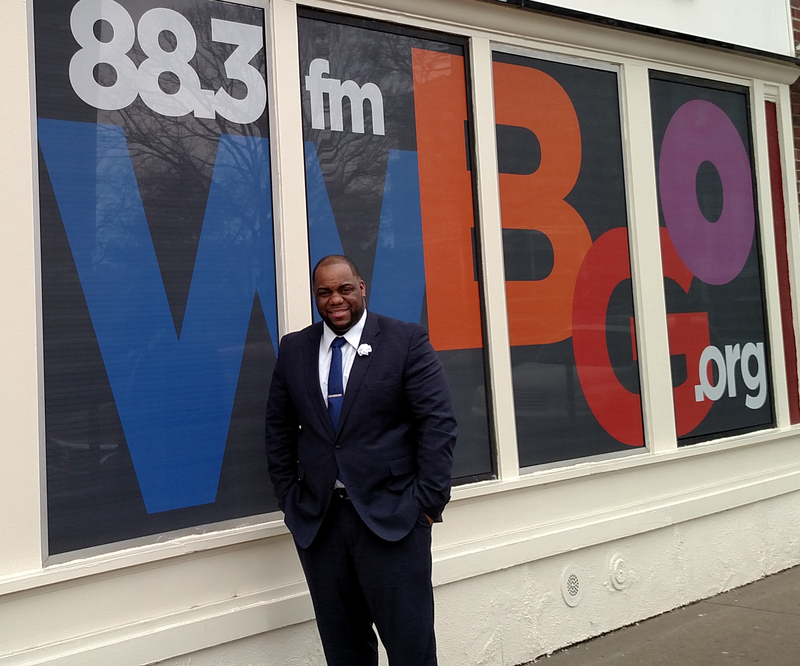 Newark Public Radio station WBGO recently welcomed Berkeley College alumnus, author, and motivational speaker Edison Jaquez to appear on its weekly news magazine program, WBGO Journal. A resident of Perth Amboy, NJ, Mr. Jaquez shared his determination to mentor and guide others, and recalled the hardships he overcame as a young immigrant from the Dominican Republic. Mr. Jaquez is the CEO/Founder of B-Men, and Co-Founder of BYOUtiful – mentoring organizations designed to enhance the lives of today’s youth. He is also the Program Coordinator for the Civic Justice Corps at the Jewish Renaissance Foundation in Perth Amboy, NJ, where he is responsible for program planning and training, working with youth between the ages of 16 and 25. He further shares his story with audiences young and old through motivational speaking engagements throughout New Jersey. Mr. Jaquez graduated from Berkeley College in 2009 with a B.S. in Business Management. He received the Alumnus of the Year Award in 2016 for his contributions to the community. He also received the Principles for Life Education Award from the I Can Foundation, and an Award of Recognition from the United Dominicans of Perth Amboy. Read more about Mr. Jaquez here. Mr. Jaquez will be signing copies of his book at Perth Amboy Public Library on January 19 at 6 p.m. He is also currently working on a second book. Photo Caption: Berkeley College alumnus, author, and motivational speaker Edison Jaquez of Perth Amboy, NJ, recently appeared on Newark Public Radio’s weekly news magazine program, WBGO Journal. 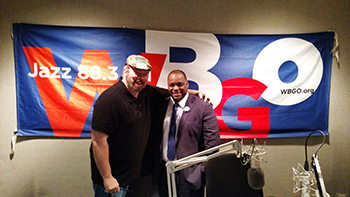 Pictured above: Mr. Jaquez (left) with Doug Doyle, WBGO News Director and Co-Host of the WBGO Journal (right). Berkeley College has five New Jersey campuses – Dover, Newark, Paramus, Woodbridge and Woodland Park. In New York there are three campuses – Midtown Manhattan, Brooklyn and White Plains. Berkeley College Online® serves a global population. For four consecutive years, U.S. News & World Report named Berkeley College among the Best Colleges for Online Bachelor’s Programs and among the Best Online Bachelor’s Programs for Veterans. The website address is www.BerkeleyCollege.edu. To stream Mr. Jaquez interview with the WBGO Journal in its entirety, click here. To read more about Mr. Jaquez, click here.